Three throwback events grace Buffalo's event calendar this weekend, highlighted by opportunities to revisit the '80s or romp around at a prom-like event. They both involve dressing up, just in two slightly different ways. For those more eager to live in the present, Friday is National Grilled Cheese Day, while the opening of developer Rocco Termini's Chandler Street project has caused considerable buzz around Buffalo, in part because it reinvigorates a quiet area, and also positions a handful of beloved local businesses in close proximity. Buffalo's Greatest '80s Party, 8 p.m. Saturday, April 13 in Buffalo RiverWorks (359 Ganson St.). General admission tickets are $20 in advance. Thankfully, Buffalo Iron Works' World's Largest '90s Party sold out well in advance, because it would be confusing to tease that event with this 97 Rock Greatest '80s Party on the same night in downtown Buffalo. Two decades collide! 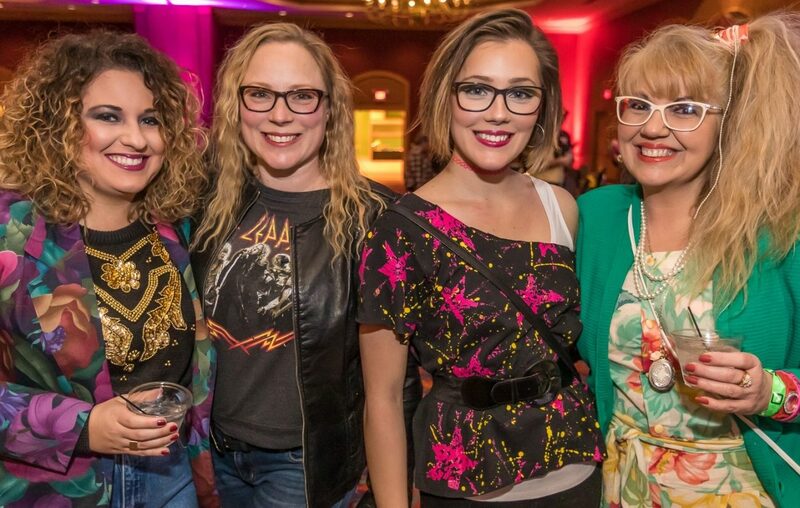 RiverWorks plays host to the '80s bash, where bold colors, shoulder pads and eye-catching outfits are more than encouraged. Laser light shows, a spacious dance floor and costume prizes are among the reasons to be psyched. "Make It Last Forever" Adult Prom, 8 p.m. Saturday, April 13 at the Buffalo Grand Hotel (120 Church St.). General admission is $30 in advance. While I find it personally tough to believe, there's a sizable group of people who want to relive their prom, or at least desire an opportunity to experience a prom-like event as an adult, as we've become more accustomed to the setting thanks to weddings and other formal events that accompany late college and early adulthood. Two ballrooms, DJ sets by Wire and Iceberg, red carpet photo opportunities and more grace the formal event in the Buffalo Grand Hotel, formerly the Adam's Mark. There are complimentary hors d'oeurves, too. The Church: 30th anniversary of "Starfish," 7 p.m. Friday, April 12 in Town Ballroom (681 Main St.). Cost is $29 in advance. Australian psychedelic rockers The Church have persevered nearly 40 years, rolling through 17 studio albums - including 1988's breakthrough disc "Starfish." Celebrating that album's 30th anniversary, The Church will play two sets in the ballroom, with one dedicated entirely to "Starfish." The most popular single for the album, "Under the Milky Way," also popped up in the film "Donnie Darko." Interesting fact: Four years ago, The Church played a double bill at Town Ballroom with the Psychedelic Furs, the band just announced for Canalside this summer. Record Store Day in Buffalo, all day on Saturday, April 13 at three locations in Buffalo with an after party, too. 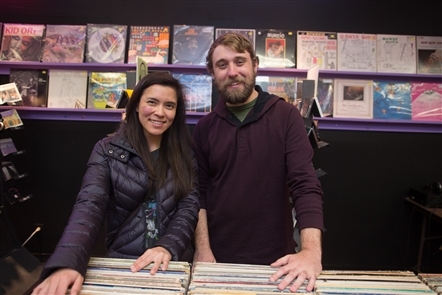 As record stores dwindle in number, these local businesses and vinyl fanatics are resilient, and considering Jeff Miers' monthly Gusto Vinyl Happy Hour, the medium is pretty important to us, too. The two Revolver Records locations, at 1451 Hertel Ave and 831 Elmwood Ave., as well as Black Dots, at 363 Grant St. Unit 2, are Buffalo's two participating businesses, and both will offer special deals, with Black Dots offering 10 percent off of any purchase. Revolver has live performers booked throughout the day at both locations, too; see the lineups. To cap off the day, hit Community Beer Works for the final Polar Pizza Party, a collaboration with Westside Tilth Farm. DJs Cutler and LoPro will spin vinyl all evening; the party runs 5 to 11 p.m. at 520 7th St. See Smiles at a previous Polar Pizza Party. Frozen Four Fan Fest and additional activities, 3:30 to 7:45 p.m. Friday, April 12; 3:30 to 7:30 p.m. Saturday, April 13 at KeyBank Center and Alumni Plaza. Free to attend; see the full schedule. With the two NCAA college hockey semifinals facing off Thursday in KeyBank Center, fan activities continue over the course of the weekend, and curious hockey lovers in Buffalo might have some interest. The major fan fest in Alumni Plaza runs from 3:30 to 7:30 p.m. Saturday, with a chance to hang out before the season's biggest clash, for which tickets are still available. From 4:30 to 6:30 p.m. Friday, the Hobey Baker Award, All-American teams, Unsung Hero Award and more will be dolled out on Level 7 at the HarborCenter rinks; these are open to the public. ESPN commentator John Buccigross, whose merchandise foundation aided the aspiring Niagara County girls hockey team last fall, spoke with News contributor Alan Pergament about the nature of college hockey, Frozen Four players to watch and even Jack Eichel analysis. Buccigross will be joined by the legendary mane of Barry Melrose (and the rest of him, too) from 6:45 to 7:45 p.m. Friday for a radio show in 716 Food and Sport. Science After Hours: Block Party, 6 to 9 p.m. Friday, April 12 in the Buffalo Museum of Science (1020 Humboldt Parkway). Cost is $21 in advance. 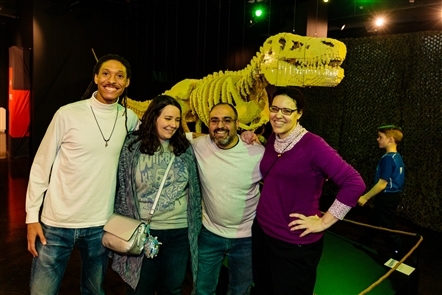 Nathan Sawaya's Art of the Brick has mesmerized visitors to the Museum of Science since February; it's almost unfathomable how an artist could construct a Tyrannosaurus Rex from more than 80,000 Legos. Friday's 21+ event lets adults tackle the challenges of building, blocking and demolishing, with head-to-head building duels among the highlights associated with the exhibit, which runs through May 5. The News' Mark Sommer introduced Sawaya's work when Art of Brick opened. National Grilled Cheese Day at Melting Point, 10 a.m. to 10 p.m. Friday, April 12 at Buffalo Melting Point (244 Allen St.). Free to attend. It's hard to base an entire business around grilled cheese - and hey, that's nothing against grilled cheese - but Buffalo Melting Point and the Cheesy Chick Food Truck are the city's chief purveyors. Melting Point's sixth annual recognition of National Grilled Cheese Day has a major perk: $1 plain grilled cheese sandwiches. The Cheesy Chick will serve lunch at two locations - Key Bank, at 4224 Ridge Lea Road; and the Summit Center, at 150 Stahl Road, Getzville - and offer $1 mini grilled cheese sandwiches. Check out Chandlerville, 4 p.m. to midnight Friday, April 12; noon to midnight Saturday, April 13 and noon to 10 p.m. Sunday, April 14 at 166 Chandler St. No cost to attend. Thin Man Brewery on Chandler Street and Tappo Pizza soft-opened on Wednesday, inaugurating the district envisioned and executed by developer Rocco Termini, with Thin Man's Mike Shatzel, Josh Mullin and Rudy Watkins, as well as Tappo's Phil Limina, helping fulfill the vision. The cavernous space in a previously desolate area will soon boast a pool and more businesses, but the present focus is on the craft beer and wood-fired pizza. Read Andrew Galarneau's front-page feature on the Chandler Street project. Sour Power 2019, noon to 3 p.m. Sunday, April 14 at Pizza Plant Williamsville (7770 Transit Road, East Amherst). No cost to attend. For those passionate over sour beers, consider this Sunday afternoon adventure through a curated list of drafts and bottles from Pizza Plant Williamsville. While the style seems to have lost a touch of luster with the rise of hazy, juice-bomb IPAs, sours remain challenging to produce, especially for small breweries, yet are still in demand. Biting flavors from Cascade, New Belgium, Firestone and Allagash are all on the docket. Future of the Scajaquada Corridor: Forum, 7 to 9 p.m. Friday, April 12 at Burchfield Penney Art Center (1300 Elmwood Ave.). No cost to attend. Setting aside the Skyway for a minute, two of the more controversial decisions in Buffalo's history were the construction of the Scajaquada and Kensington expressways, which created faster routes for vehicles around the city but also split Delaware Park and its surrounding neighborhoods - and ripple effects are very much felt today. Friday night's discussion centers on urban renewal by "reclaiming space and reconnecting communities,"
The discussion is part of the M&T Second Fridays held monthly in the Burchfield Penney Art Center. Check out the full slate of activities associated with the event. Low-ticket alert: WBLK Spotlight Series Showcase, 8 to 11 p.m. Friday, April 12 at Shea's 710 Theatre (710 Main St.). Cost is $10, with no tickets available at the door. Fewer than 10 tickets remain for WBLK's Spotlight Series Showcase featuring Megan Thee Stallion, a trendy female rapper who was profiled by Rolling Stone last month. The concert doubles as invaluable exposure for a fleet of local rap and hip-hop musicians, who fill the slots leading up to Megan Thee Stallions. Sold out: World's Largest '90s Party in Buffalo Iron Works; Easter Bunny Breakfast in the Buffalo Zoo; Taste of Paradise in the Botanical Gardens.